No matter what your circumstances are, if you need help financing your college education, there are a number of grants and scholarship opportunities available to you through the State of Arkansas. Below you will find a comprehensive list of financial resources available for a variety of students interested in pursing higher education. The Arkansas Department of Higher Education Academic Challenge Scholarship offers up to $2500 every year for graduating high school seniors who complete the required precollegiate core curriculum. To be eligible an applicant has to have maintained a 2.5 or higher grade point average, receive a minimum score of 19 on the ACT, and demonstrate financial need. The application deadline is June 1st. The amount varies depending on individual circumstances and need. The GO! Opportunities Grant is awarded based on financial need. It is required that all applicants fill out the Free Application for Federal Student Aid (FAFSA) to be eligible. There are two deadlines: June 1st and November 1st. The Arkansas Governor’s Scholars Program provides merit scholarships annually to 75 of Arkansas’ high school graduates (one per county), who have shown academic excellence and leadership, to help them continue their studies as undergraduates. This is a competitive scholarship, and to be eligible students must have scored a minimum of 27 on the ACT OR a minimum of 1220 on the SAT OR have an academic grade point average of 3.5. The deadline for this scholarship is February 1st. Recipients of this scholarship must enroll in an approved Arkansas university or college. In addition to these scholarships, there are a number of programs that fund students who either choose a particular career trajectory, or who are eligible because of minority status, or specific personal or family circumstances. Although the list below is non-exhaustive, it represents the range of scholarships that are available both for students just starting college and for college students looking for ways to help fund continued education, or postgraduate degrees. The Arkansas Single Parent Scholarship Fund is a scholarship that assists single parents who want to further their education. To be eligible for this scholarship, the applicant must be a single parent and head of the household, have a financial need, and have a high school diploma (or GED). The applicant has to reside in the county in which he or she is applying for the scholarship. Deadlines vary by county. To apply for this scholarship, locate your county on the The Arkansas Single Parent Scholarship Fund County Locator Page (http://www.aspsf.org/students_spscholarships.html) and contact the person on your county’s page with any to request a scholarship application. The Minority Teachers Scholarship offers up to $5,000 per academic year to minority students pursuing advanced degrees in education. In exchange, recipients must agree to teach in an Arkansas public school for five years after completing their teacher licensure requirements. 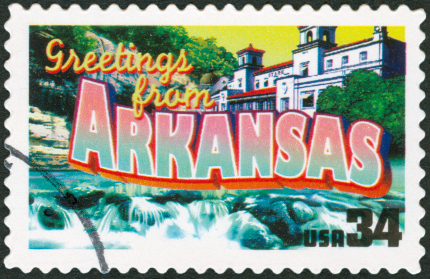 To be eligible, applicants must be African-American, Asian-American, Native-American, or Hispanic ; be an Arkansas resident for at least six months prior to the application date; be a U.S. citizen or permanent resident alien; be enrolled full-time in an Arkansas public or private 4-year degree-granting institution; be at least a junior and have been admitted to an approved program resulting in teacher license (or have successfully passed their Praxis I examination); and demonstrate a minimum 2.50 cumulative grade point average. The deadline for applications is June 1st. Applications are available form the Arkansas Department of Higher Education website (http://www.adhe.edu/divisions/financialaid/Pages/fa_mtsp.aspx) from February 8th on. A number of universities and colleges in Arkansas also offer funding based on merit and need, and applications for funding are a part of each university’s admission and financial aid applications. The Dean’s Scholarship at the University of the Ozarks is an award of up to $6500 annually to students based on merit, as determined by specific grade point averages and ACT or SAT scores. The scholarships are available to students with ACT scores of 25 or higher or SAT scores of 1130 or higher, AND a grade point average of 3.0 or higher. The Commitment to Excellence Scholarship at the University of the Ozarks offers up to $4500 annually to first-time college freshmen with a grade point average of 3.0 or higher. There are some limitations with regard to concurrent achievement awards. The University Center Scholarship at the University of Arkansas Fort Smith offers up to a full tuition and book fee for students majoring in business administration, computer and information systems, or accounting. The scholarship is merit-based, and to qualify students must have an ACT score of 26 or higher, a grade point average of 3.0 or higher, and have graduated in the top 25% of their class. The Chancellor’s Scholarship at the University of Arkansas-Fayetteville awards up to $8000 per year to first-time entering freshmen on a merit basis. This is a highly competitive scholarship for students at the top of the applicant pool. Typical recipients have a minimum of 3.75 grade point average, and a minimum ACT score of 28 or SAT score of 1240. The scholarship is renewable for 4 years, and architecture and MAT students have the option to renew it for a fifth year. The Silas Hunt Scholarship Scholarship at the University of Arkansas-Fayetteville awards between $5000 and $8000 per year to students from under-represented communities (not limited to under-represented ethnic or minority groups), who have demonstrated academic leadership qualities and outstanding potential. Eligible candidates may be students interested in studying a field that does not typically attract members of his/her gender or ethnicity, residence in an under-represented county in Arkansas, or a first generation college student. Other merit-based scholarships for candidates from the top of the applicant pool at the University of Arkansas-Fayetteville include The University Scholarship, valued at $4000 per year and renewable for 4 years, the Honors College Academy Scholarship, also valued at $4000 per year, and also renewable for 4 years (with an extra year available to Architecture and MAT students) and the Leadership Scholarship, of the same value and duration. Many other Arkansas colleges and universities provide their own scholarships. Information about them can be found through the appropriate offices of individual universities, such as the Office of Academic Scholarships and the Office of Financial Aid. It is important to remember that in addition to funds allocated by the State of Arkansas and individual institutions, Arkansas students are also eligible for national scholarships that are either open to applicants from all states, or that may be administered through local chapters in Arkansas. The National Science and Mathematics Access to Retain Talent (SMART) Grant provides up to $4,000 for both the third and fourth years of undergraduate study to full-time students who are U.S. citizens, eligible for a Federal Pell Grant, and majoring in physical, life, or computer sciences, mathematics, technology, or engineering or in a foreign language determined critical to national security. A minimum cumulative GPA of 3.0 in coursework required for the major is required of applicants. 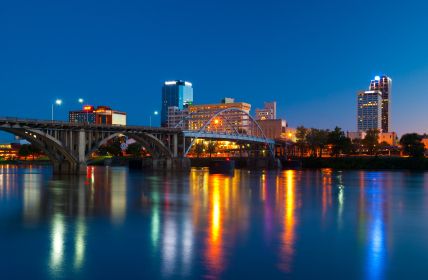 An example of a national funding organization with a local chapter is the Executive Women International Scholarship Program (EWISP), which as the Little Rock Chapter in Arkansas. This scholarship offers up to $10,000 to qualified high school juniors, who first compete at the chapter level, and then have the opportunity to compete on the national level. Students must use this award toward earning a four-year degree at an accredited college or university. Applicants must be nominated either by their school or by a teacher between October and January. Nominated students are assessed based on their application materials, oral and written communication skills, creativity, academic excellence, involvement in extracurricular activities, leadership potential, awards and honors, and clearly defined and articulated career goals. While this list of awards is representative of the types of awards that are available for the motivated Arkansas student, it is by no means exhaustive, especially when it comes to awards offered by individual institutions. Most institutions offer some forms of academic aid, whether through merit-based, or need-based scholarships, or both. Research into what grants and scholarships are available for your individual circumstances is a worthwhile investment; it can make college education affordable, and, in some instances, even free.